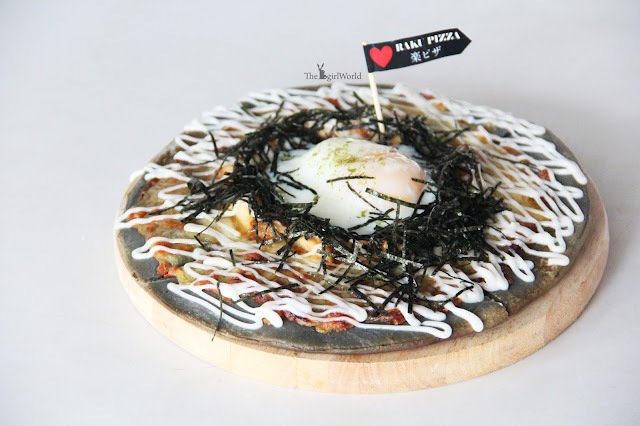 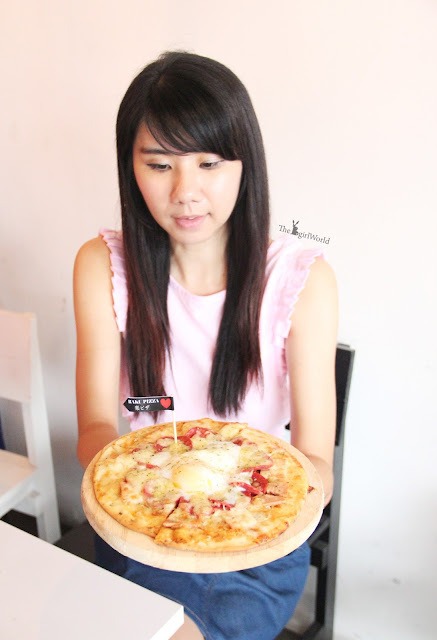 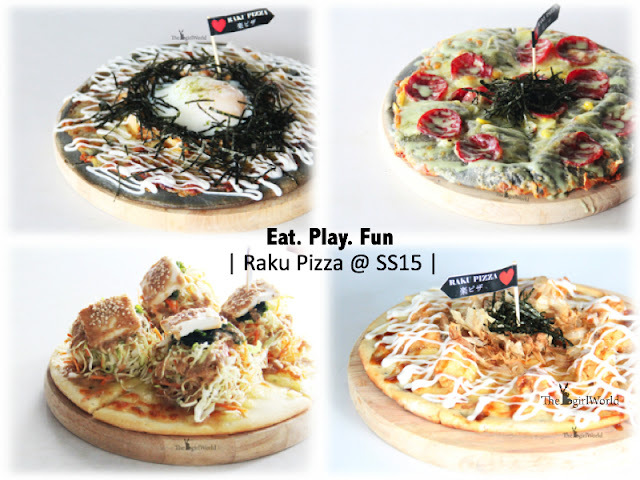 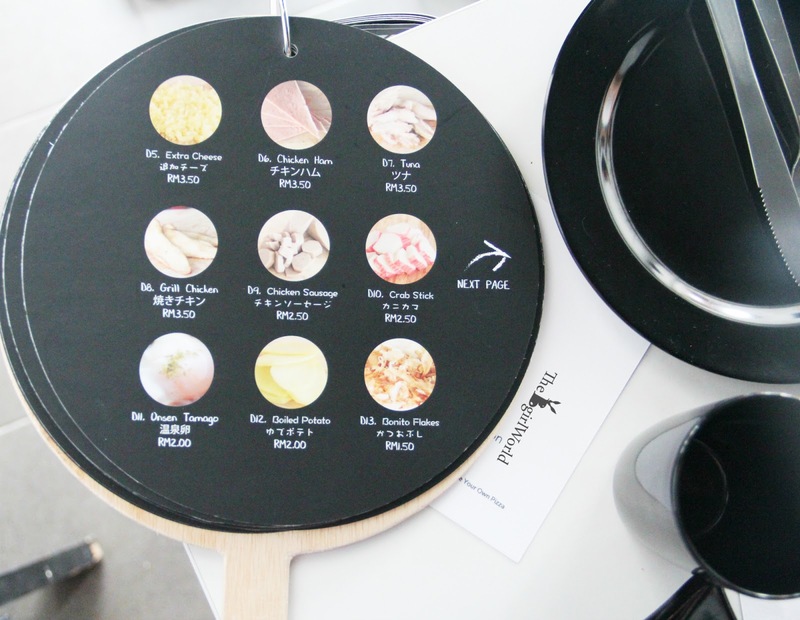 Raku Pizza @SS15 Subang, Let's DIY japanese pizza! 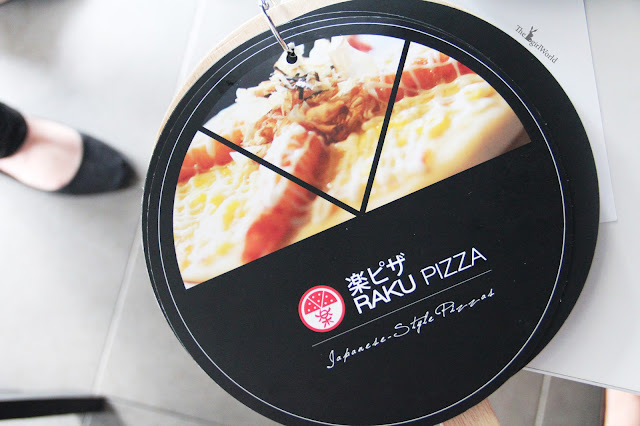 Raku Pizza, a Japanese Build Your Own Pizza restaurant in totally different new way, brings you a healthy and fun fusion style pizza. 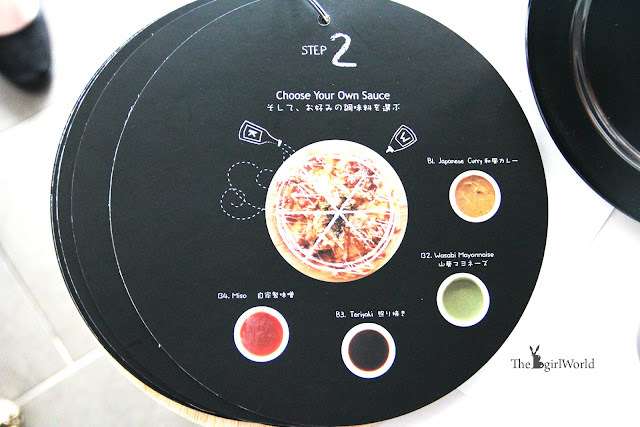 Patrons just need to follow a simple 3-step way to build their own pizza with self-selection of ingredients, you can get as creative as you want or just simply pick what is most comfortable with, enjoy more fun, less moodiness at dinner! 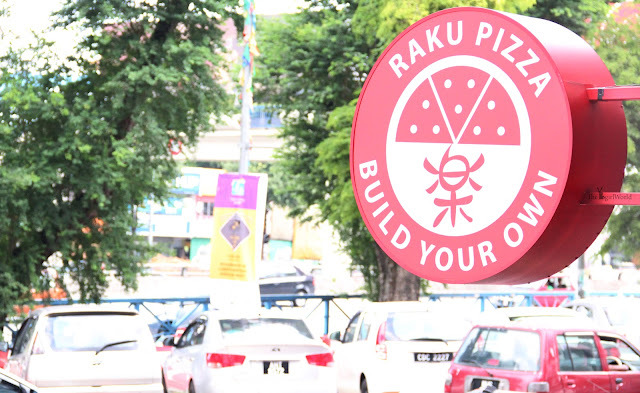 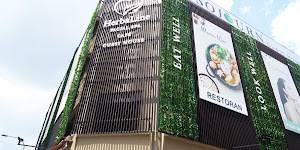 Located just next few shops to Mcdonald SS15, you can easily spot it out with their big LED signboard "Raku Pizza". 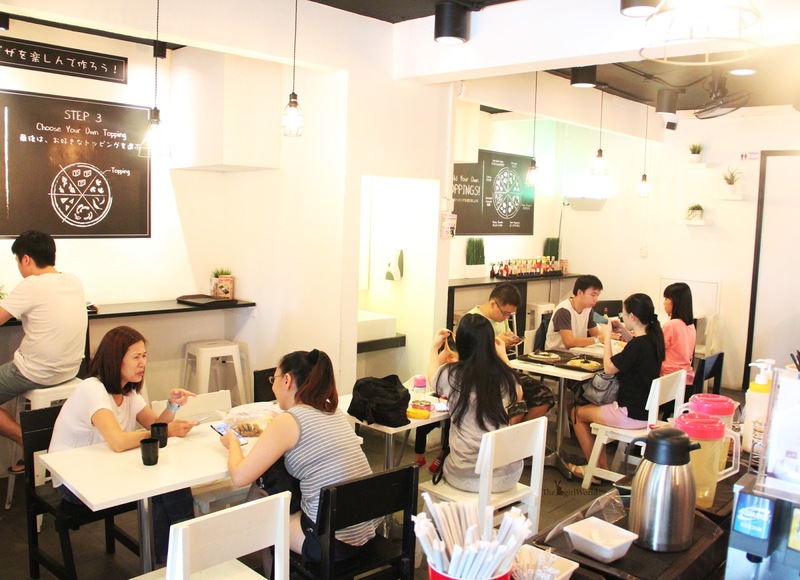 It is a mostly black-white simple yet spacious lot. 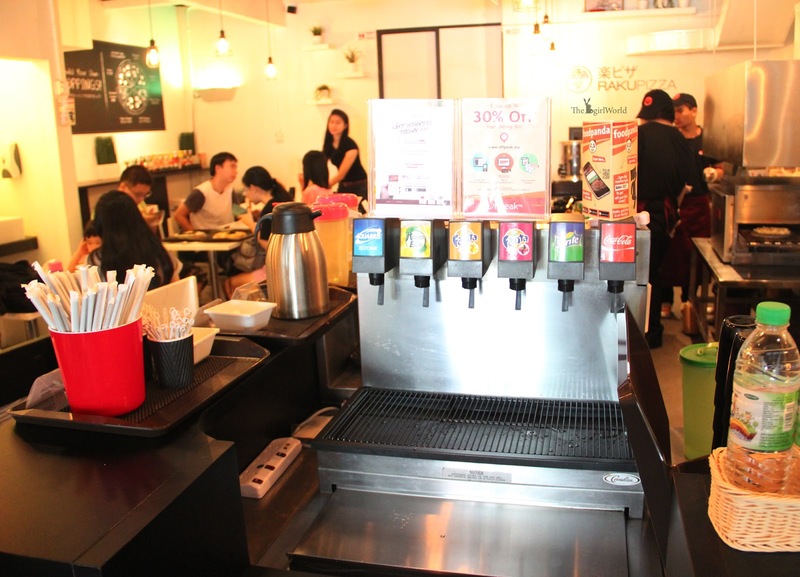 Self-service corner, get your drink by yourself. 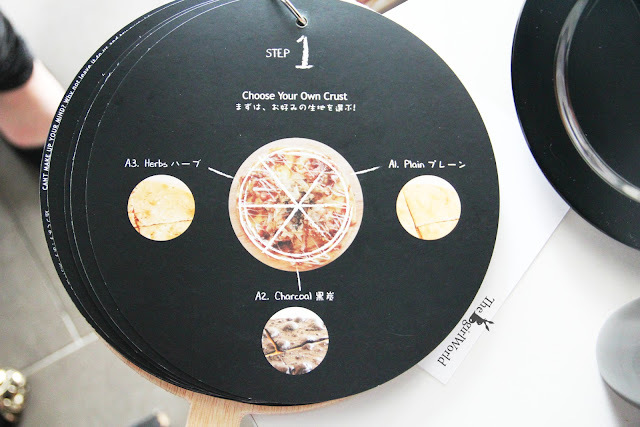 Step 3 : topped with any topping (Additional Charges) they offer to customise your own pizza. 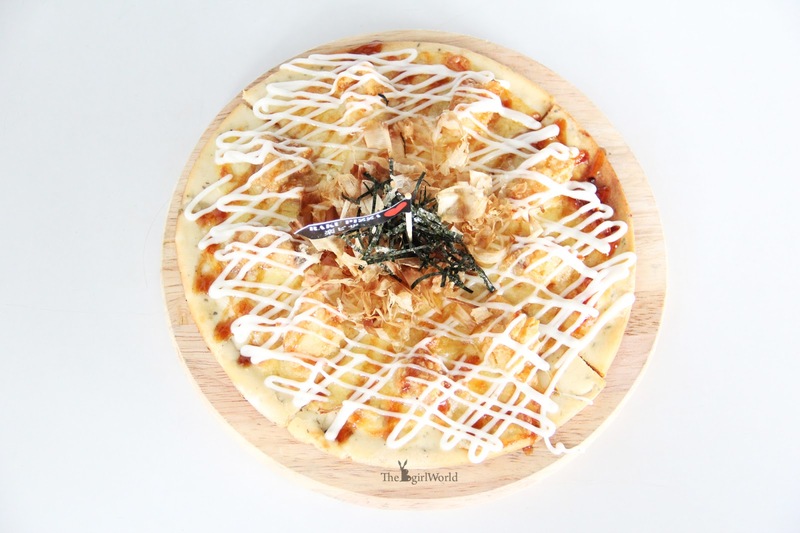 Served with Japanese curry sauce, boiled potato slices, sweet corns,garnished with Mentai Mayo and shredded seaweed, topped with cheese. 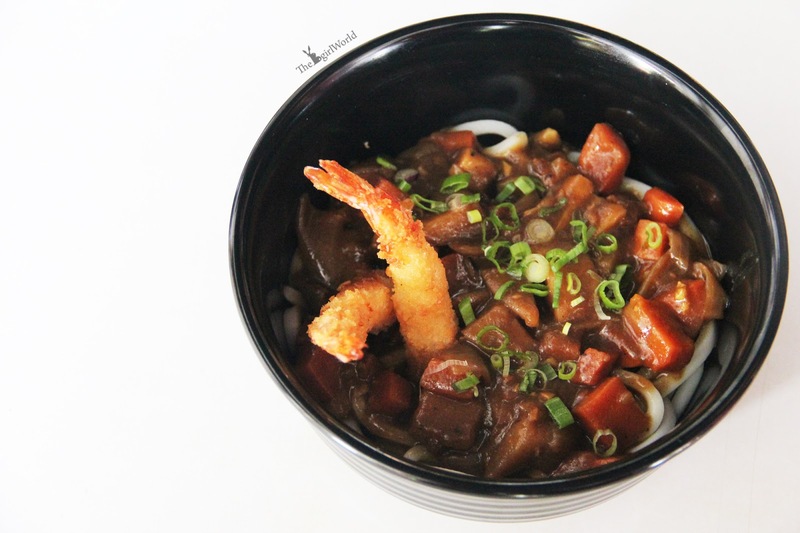 Definitely this is the best choice for vegetarians, feel the melt-in-mouth potato and unexpected Japanese Curry sauce can goes well with Mentai Mayo, taste great! 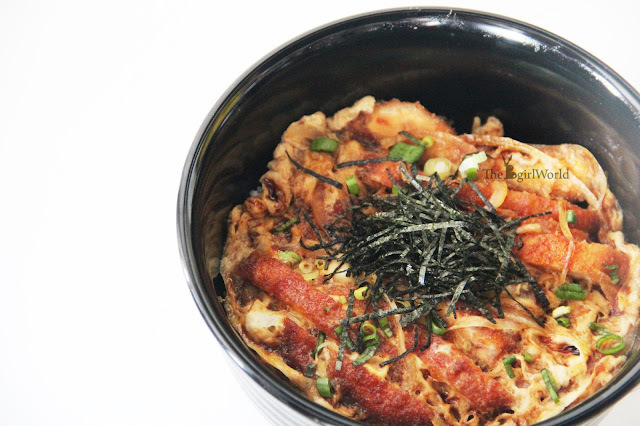 I tried Okonomi at Hiroshima during my Japan trip, it is a MUST to eat when you travelling to Japan. 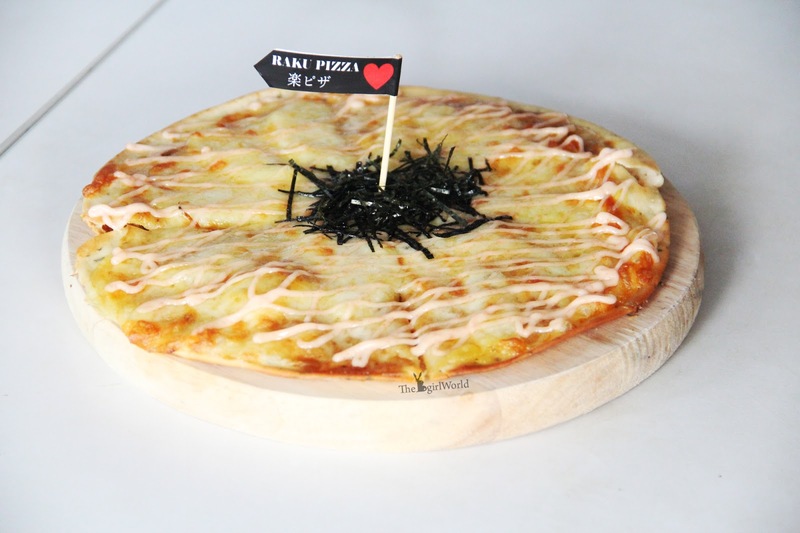 When i take a bite of this pizza, it makes me miss my japan trip. 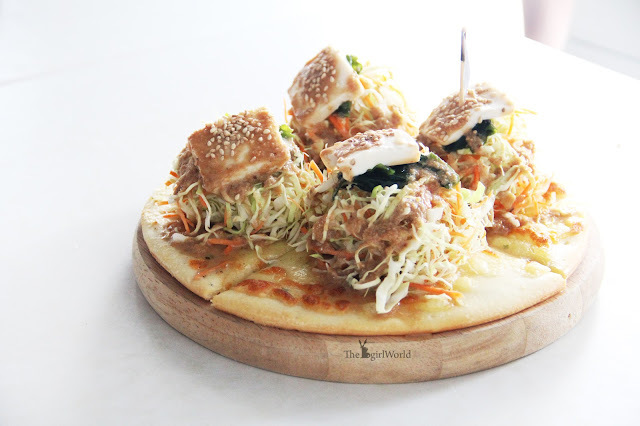 Edo Samurai is topped with crispy Karaage chicken (deep fried chicken), sweet onion, cheese, bonito flakes, shredded seaweed and drizzled with okonomi sauce to pump up the flavour. 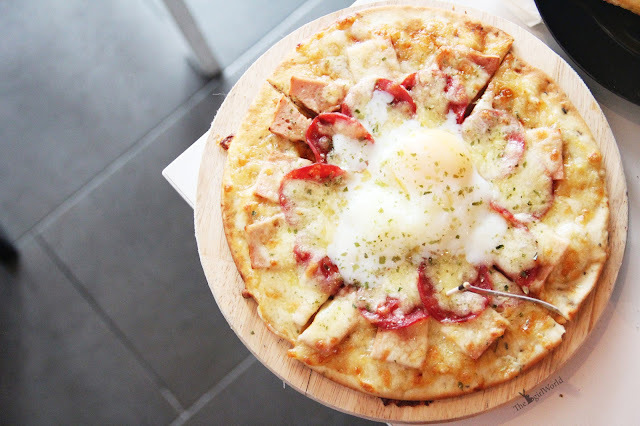 When this pizza reached our table, we only can give a respond " aww! 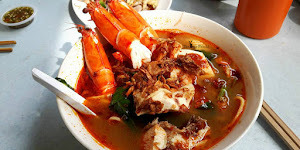 waoo!!!" 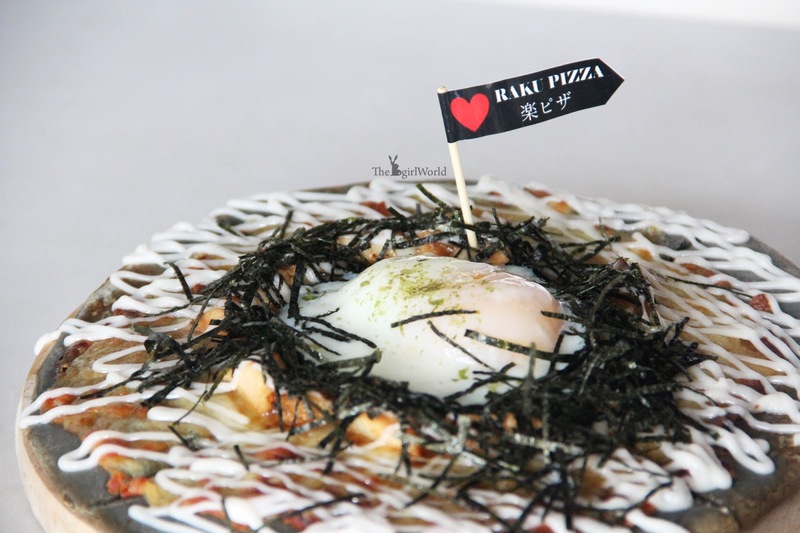 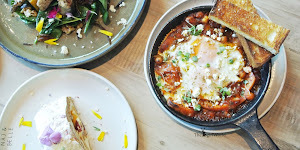 because the beautiful runny poached egg has caught our attention. 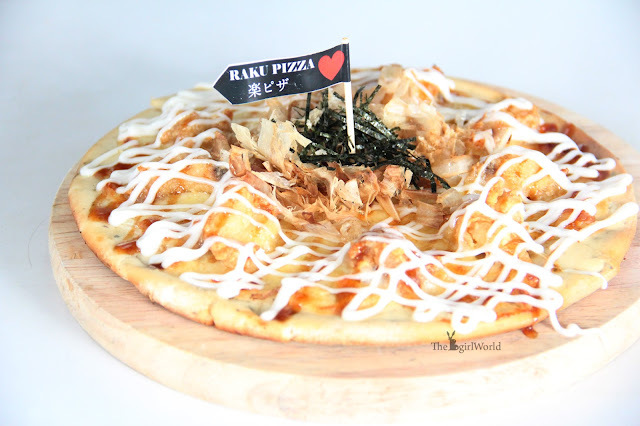 Mouth-watering Sakurajima Lava served with tangy teriyaki sauce, topped with grilled chicken, cheese, sweet onions, shredded seaweed, garnished with Japanese mayo and a soft silk onsen tamago! 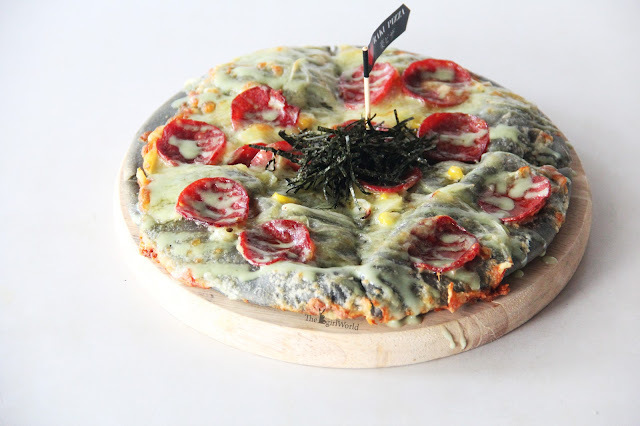 It might looks weird because of the pizza color, Americano Sumo is made with charcoal dough base and the green color sauce is Wasabi Mayo. 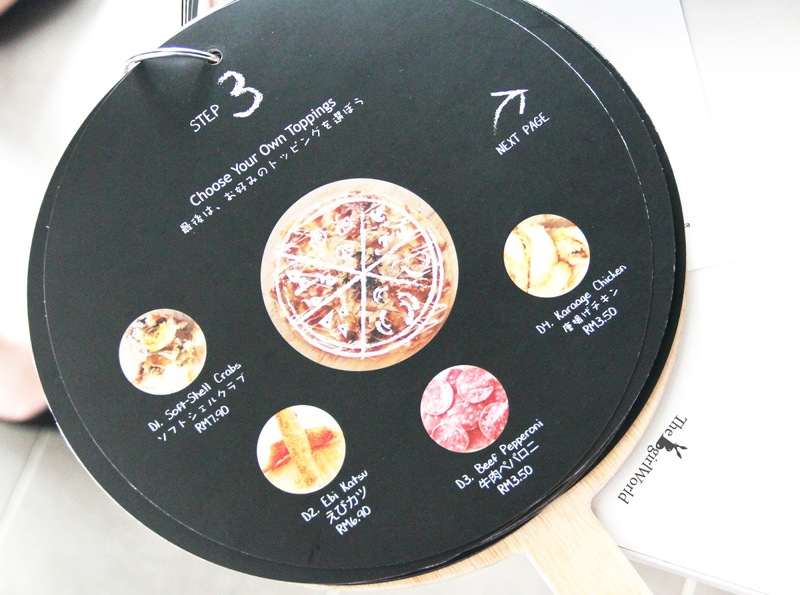 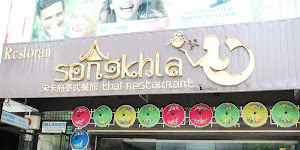 Charcoal dough is not crispy crust if compare with another 2 types of dough, it is thicker and i prefer the crispy crust dough. 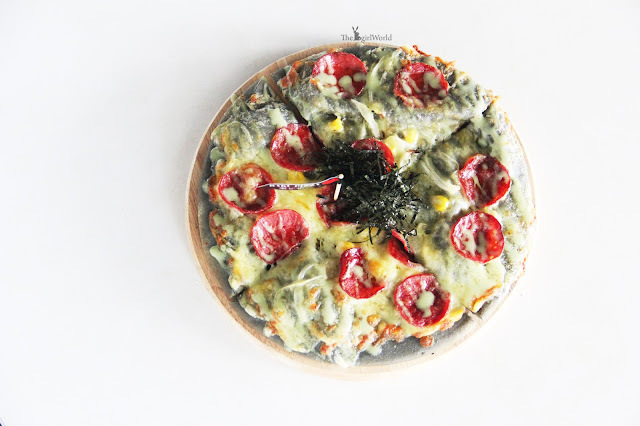 =) Served with Beef Pepperoni, Sweet Onions, Sweet Corns, Shredded Seaweed, drizzling of wasabi mayo and cheese. This pizza is for beef lovers. It's like a big Japanese salad on pizza. A very healthy pizza with mixed Salads, wakame, tofu, cheese, sesame, served with Yuzu Dressing. 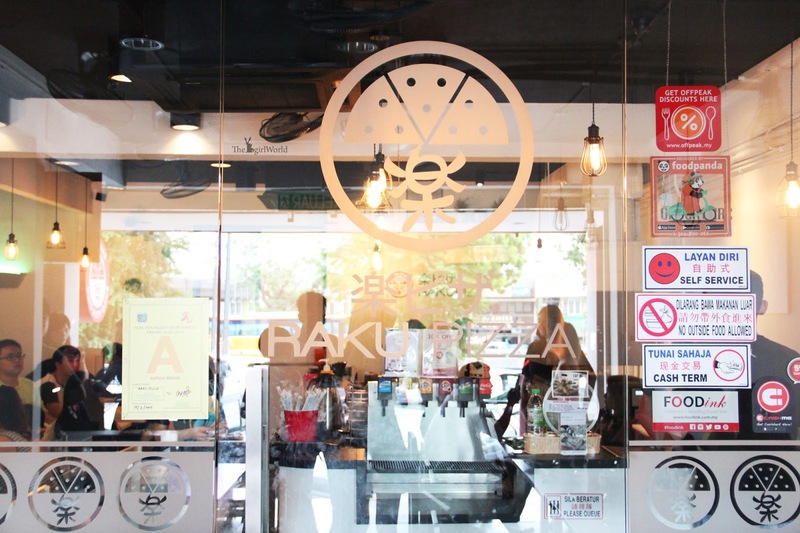 Inspired by the passion and love in Japanese food, Raku Pizza also offer a wide range of pork-free udon, donburi and some common Japanese side dishes. Crispy fried chicken fillet covered by cooked egg and onions with their specialty sauce served on top of the rice. 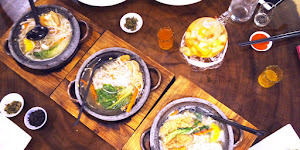 The fried chicken fillet is still tender and juicy. 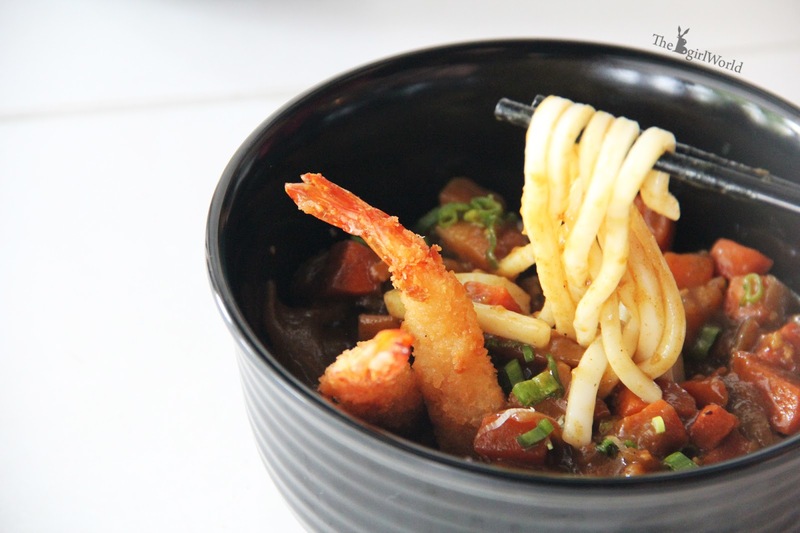 Udon noodles served hot in their Japanese curry sauce with ebi katsu. 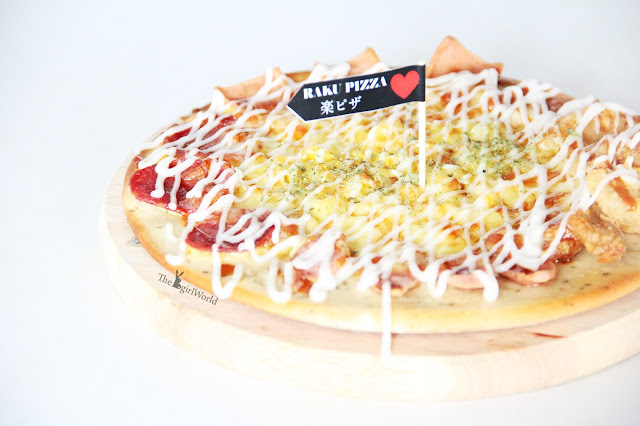 Here is the pizza created by me and my another 3 friends. Picture credits to Elana Khong. 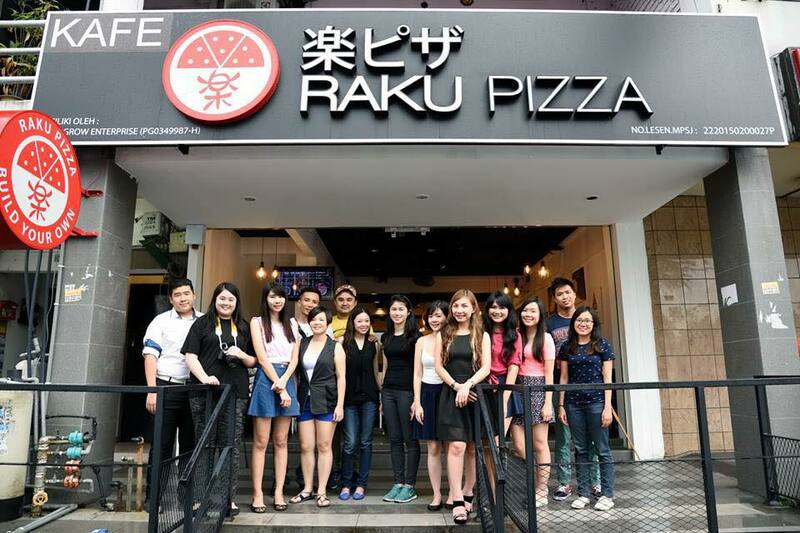 Raku Pizza not just make “happy” Pizza, it also makes everyone a happy customer. 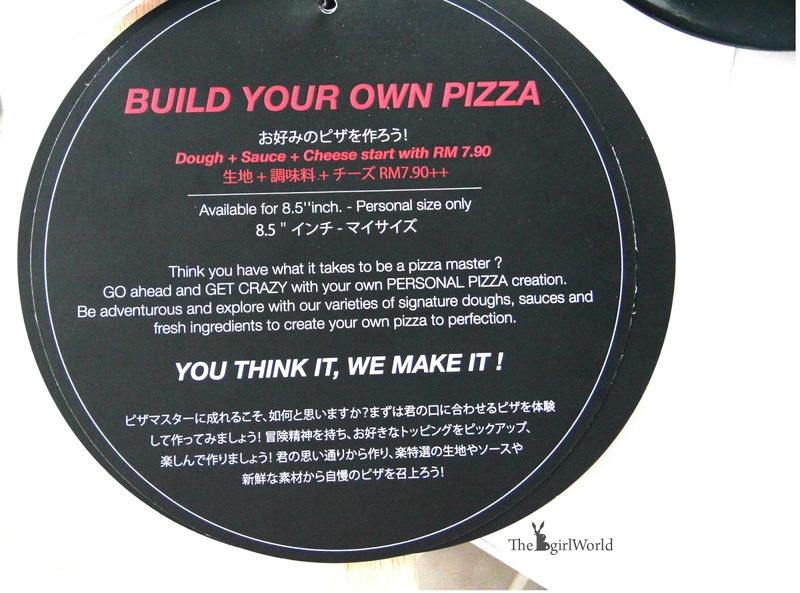 Feel free to drop by there and build your very own pizza, have fun!